There are those rare moments in life when we get to enjoy things in life that only those who can afford such things get to enjoy. An elegant five-course meal, a flight In first class, the feel of silk sheets while lying on the bed in the Presidential Suite, or a sip on champagne older than we are. For the majority of us, it’s a fast food, coach class, room by the ice machine, cheap beer kind of life. We rarely have occasion to enjoy those things that make our otherwise dull, plain life a bit better. Cars are the same way. Sure we’d like a Ferrari in our driveway, but have to settle for something with a payment under $300, which is what the fuel costs for a Ferrari would be for a month. Then there are cars that try to pretend they are something they’re not, try to make us believe that buying one will give us the same experience as something costing much more. We know these exist, because we’ve had occasion to test them, and in the end expose them for what they really are; just a poser. It’s like wearing a fake Armani suit with shoes from Payless, with an imitation Rolex on our wrist as we head into Wal-Mart. In all this automotive chaos however, we occasionally stumble on something that doesn’t try and pretend it’s something it’s not, yet can provide the same sort of experience normally reserved for a privileged few. 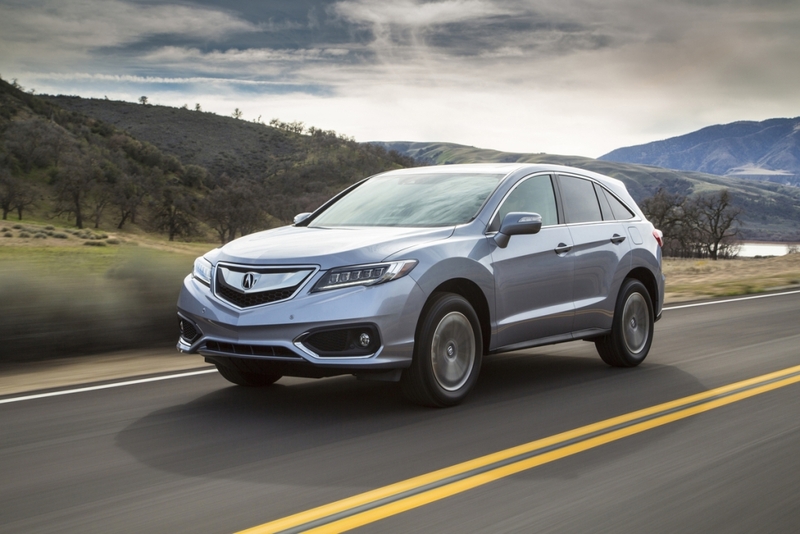 Such was the case recently when we were delivered the 2016 Acura RDX for a week. 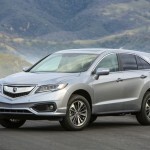 Only two weeks prior we had a week with its bigger brother the MDX and liked it. 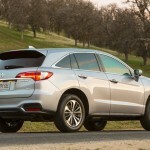 Now we would get a week behind the wheel of the RDX, the Honda luxury brand’s bestselling vehicle. 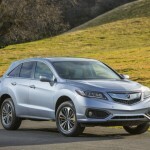 The 2016 Acura RDX is a small luxury crossover SUV. In comes in one single trim level with three optional packages. Front-wheel drive is standard and all-wheel drive is optional. 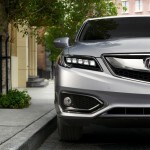 The RDX has standard features like LED headlights and taillights, heated side mirrors, rear privacy glass, automatic headlights, a sunroof and a rearview camera. There’s also keyless ignition and entry, power liftgate, dual-zone automatic climate control, heated front seats, an eight-way power driver seat with two-way power lumbar, a four-way power passenger seat, all wrapped in premium leatherette. In addition there is a leather-wrapped tilt-and-telescoping steering wheel, an auto-dimming rearview mirror, and plenty of tech like Bluetooth phone and audio connectivity, a 5-inch dashboard information display and a seven-speaker sound system with satellite radio, and a USB audio interface. The AcuraWatch Plus package gives you a forward collision mitigation system with automatic braking, adaptive cruise control, and a lane-departure warning and intervention system. The AcuraWatch Plus option can be ordered by itself or in combination with the Technology package which bundles sport front seats, an eight-way power front passenger seat, leather upholstery, a navigation system, a blind-spot monitoring system, voice commands. There is also the AcuraLink app suite, a larger (8-inch) display screen plus the additional 7-inch touchscreen display on the dashboard, along with a 10-speaker Acura/ELS surround-sound system with HD radio. The third package available is the Advance package includes everything in the AcuraWatch Plus and Technology packages but adds ventilated front seats, front and rear parking sensors, automatic wipers, auto-dimming sideview mirrors, remote engine start and foglights. Our tester for the week was all wheel drive with the Advance package. For 2016 the blind-spot monitoring system, adaptive cruise control and lane-departure intervention system were added. Also for 2016, there have been some styling tweaks, and a small horsepower increase under the hood. One of the better things under the hood is the 3.5-liter V6 engine. 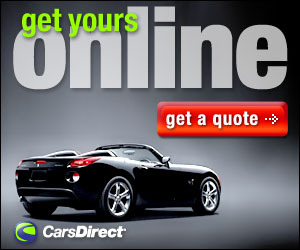 It delivers 279 horsepower and 252 pound-feet of torque. Many others in the small carryover class have opted for the 4-cylinder, usually turbocharged, so it’s good to see a little bigger powerplant under the hood. 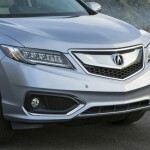 While we did like the MDX, we liked the RDX even better. The loss of a third row of seats gives the exterior look a bit more style it seems. 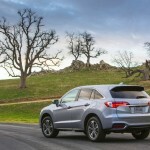 The RDX in our opinion is just the right size, and on the road we liked it even better. Inside, there is the great view from the driver’s seat one can only get in a higher placed crossover. 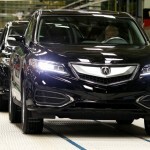 The interior is laid out similar to the MDX, with clean lines and easy to use controls and easy to read gauges. The two screen setup was there, and like the MDX we aren’t a fan of it, but it isn’t too hard to figure out. The cabin is very roomy and comfortable even for back seat adults, and that’s not something that can be said for all crossovers. On the road the first thing we noticed with a V6 under the hood, was that there was no lag like we’ve had with some turbocharged 4 bangers. No struggling to keep up, no whining, plenty of power for everyday use. The cabin is quiet at speed, the suspension more than adequate for everyday driving and there is even a satisfying low growl from the V6 under heavy acceleration. The six speed automatic shifted properly and the body roll in aggressive cornering was no better or worse than others in its class. There is one big difference to others in its class however. 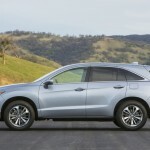 Now that Acura has added the new safety features, the blind-spot monitoring system, adaptive cruise control and lane-departure intervention system, the RDX can now compete with other crossovers costing much, much more. Think Porsche Macan S($53,000), BMW X4 ($46,000 – $58,000), the Audi Q5 ( $41,825 – $53,425) and the new Jaguar F-Pace which can get expensive with a price nearing $70,000 for the same options that can be had in a top of the line RDX which prices out at $44,340. 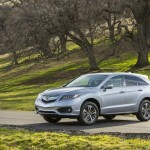 The point is that the RDX is a very good vehicle. It’s made better when you see what a value it really is. 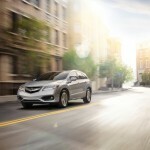 For around $40,000, you can get a well-built crossover with all the features of something costing a great deal more. 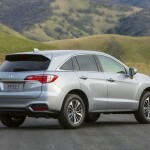 The MDX was good, and if someone needs a large SUV, it’s worth a look. 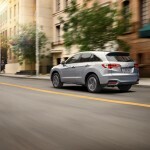 For the smaller crossover crowd though the RDX is among the best. 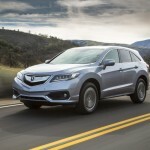 That’s primarily because the majority of the crowd can afford something like the Acura RDX. We may never stay in the Presidential Suite, or sip on champagne older than we are, but we can enjoy something that gives us an experience normally reserved for a privileged few. 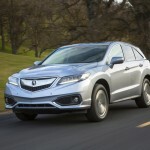 The 2016 Acura RDX is among the best vehicles we have tested, and that’s because the RDX is among those vehicles that we could actually afford. EPA interior volume: 129.6 cu.ft. 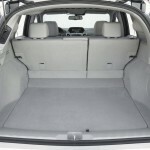 Cargo capacity, all seats in place: 26.1 cu.ft. Maximum cargo capacity: 76.9 cu.ft.